Chromat x Reebok Introduced At NYFW | RESPECT. Debuting on the runway at NYFW this evening were three new Reebok Sole Fury models designed in collaboration with swim and athleticwear designer, Chromat. The Reebok Sole Fury, a split sole performance-driven silhouette, was introduced to consumers in the FW18 season, first appearing on the runway of designer Matthew Adams Dolan at NYFW in Fall 2018. The unique design is centered around a modernized revival of “Split Cushioning Technology,” an early 1990’s footwear innovation pioneered by Reebok that radically broke away from conventional practice by entirely removing a section of a sneaker’s midsole. The footwear industry was initially slow to accept the new designs, but 25+ years later, the ahead-of-its-time Split Cushioning innovation is seen on feet across culture from gym to the street. The latest iterations of Sole Fury shown on the runway with Chromat this evening at NYFW, are a perfect blend of Chromat’s empowering and architectural-inspired designs fused with Reebok and the Sole Fury’s bold attitude. Additional details on the Chromat x Reebok Sole Fury silhouettes will be forthcoming. 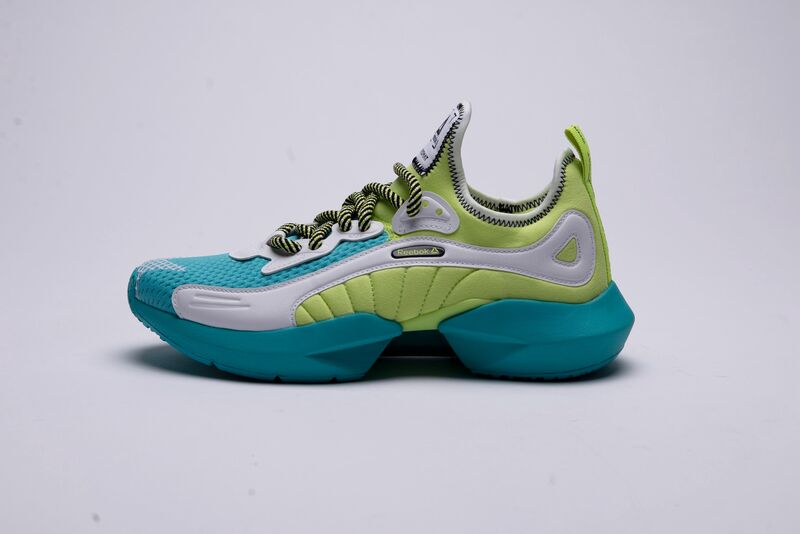 SS19 inline versions of the Sole Fury are available now at $90 at reebok.com/SoleFury.